Can older, frail patients benefit from 'prehabilitation' before heart surgery? High risk, frail heart patients might derive benefits from "prehabilitation," a strategy designed to enhance the recovery process after heart surgery by maintaining or improving the patient's overall physical and mental status before surgery, according to a group of cardiac specialists. Published in the Canadian Journal of Cardiology, the authors reviewed the current evidence regarding the benefits of prehabilitation and described two ongoing Canadian randomised controlled trials, examining prehabilitation in vulnerable heart disease patients. The demand for surgical services is increasing as a result of an expanding ageing population. Advances in healthcare practices and delivery have led to an increase in overall life expectancy. Currently, 8.5% of the world's population (approximately 620 million people) is older than 65 years of age. This percentage of older adults is projected to increase to 17% (1.6 billion) of the world's population by 2050. As a consequence, there has been an increase in the number of frail, older patients with advanced heart disease presenting for complex cardiac surgery procedures. "The increasing number of older adults with a heart disease and subsequent increase in demand for heart procedures represents a veritable 'silver tsunami'," said lead investigator Dr. Rakesh C. Arora, from the University of Manitoba/St. Boniface General Hospital, Winnipeg, Manitoba, Canada. "Many of these patients have low physiological reserve. So when they undergo cardiac surgery, they experience a disproportionate decline in their health condition resulting in a long recovery time. In some instances, these vulnerable patients are discharged to a long-term care facility. In such cases, they experience poorer postoperative outcomes and worse quality of life despite a successful heart treatment or procedure. There is, therefore, an urgent need for the heart care team to ensure that the patients are not only liberated of cardiac disease symptoms, but also experience a better postoperative health-related quality of life, so they don't just survive, but thrive after their procedure." Previous investigations have established that patients on surgical waiting lists engage in minimal physical activity as they wait "in fear." There is some evidence to support the effectiveness of "prehabilitation" (prehab), a combination of exercise training, education, and social support, affecting patients' physical and psychological readiness for surgery, but these types of programs are not widespread. Prehab has the overarching goal to reduce postoperative complications and hospital length of stay as well as ideally improving the transition from the hospital back home. However, there is no formal consensus regarding what this should involve. While prehab has been used in patients undergoing bowel or bone surgery, it has not been widely considered for heart patients before surgery. 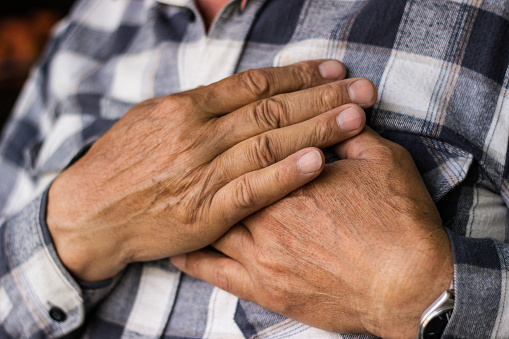 Dr Arora and colleagues describe how new treatment protocols, also known as Enhanced Recovery Programs (ERPs), can help the heart team decide on the best treatment plan for vulnerable older adult patients before their procedures. The goals of an ERP are to maintain or improve the overall physical and mental status of the heart patient and reduce the impact of profound stress response following a cardiac procedure. They analysed evidence from previous trials to support the use of prehab and evaluated how the NEW approach, a three-way approach including nutrition optimization, exercise training, and anxiety (worry) reduction (nutrition, exercise, and worry = NEW) may benefit heart patients. "The fundamental premise behind prehab ERP is that improving patients' functional reserve before their procedure will improve postoperative outcomes that are important to older adults, including preserving mental and functional independence and enhancing postoperative recovery," added Dr Arora. "The prehab ERP depends on collaboration and engagement of the patient, their caregivers, and heart team to ensure their success."